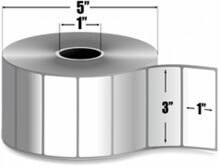 Intermec Duratran II - 3" x 1" Thermal transfer paper label. 8 roll case. Labels for Intermec Thermal transfer Printers. 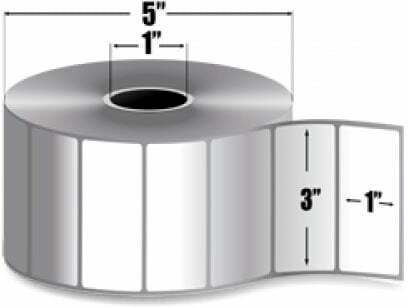 A coated, thermal transfer paper label, the Intermec Duratran II exhibits excellent print quality when used with the appropriate ribbon. Featuring a permanent, glove-friendly adhesive, the Intermec Duratran II is recommended when moderate abrasion, heat or sunlight is present. Special adhesives are available with custom orders. The Intermec E17012 is also known as Intermec Technologies	IMP-E17012	.